Provide the local community with a sense of ownership for the site. Get help to do all the work needed! As well as maintaining and managing the 6acre woodland, the group is responsible for preventing willow encrachment into the lowland heathland of Sancreed Beacon. Which is how we found ourselves transforming this…. Lots of lovely willow 2″ – 4″ diameter which can be dressed and carried away by all those who come along to use as woodfuel in their woodburners next Winter. 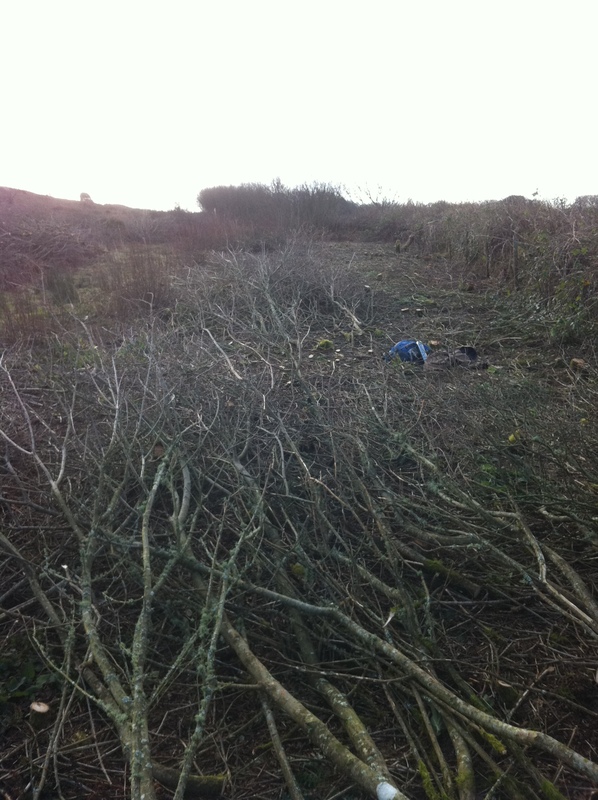 We managed to cut about 1/2 acre over 3 days and create lots of sheltered habitat piles for the flora and fauna. Thanks to all those who came along, and the sense of satisfaction from members of our community being able to be self sufficient in their own wood made my Winter a little warmer :-). Invited Rachel Lambert (www.wildwalks-southwest.co.uk), friend and local wild food expert for a tramp around the wood to see what could be found in July. Not bad for a quick walk around the woods. Situated in the Northern corner of Sancreed Beacon, Beacon wood originally started out as a piece of disused land overgrown with brambles and bracken. Local tree warden Tony Hole began helping the regeneration of the land by planting native tree species on there in the mid 1980’s with the verbal consent of the Land owners Cornwall Heritage Trust (CHT). One thing we need in Cornwall is more trees! Centuries of gradual deforestation and little replanting have severely depleted the tree covearge in this part of West Cornwall. 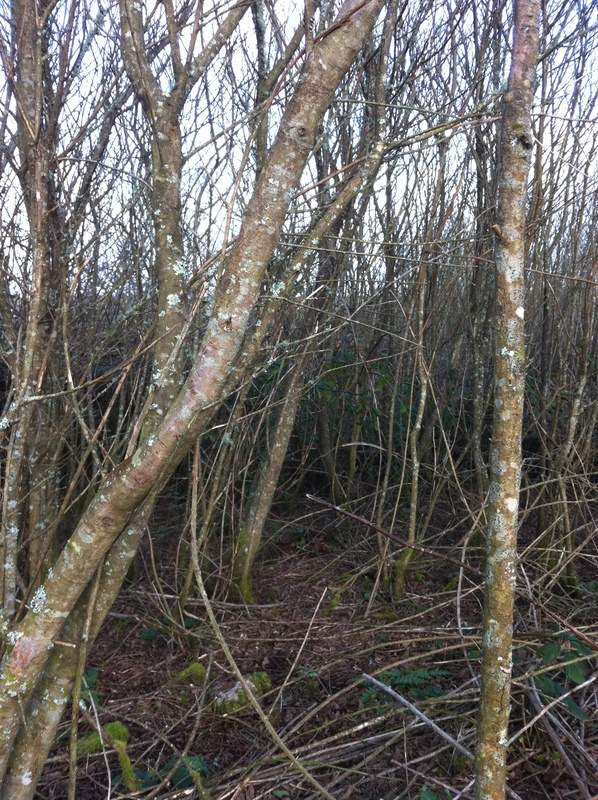 In my opinion they are a necessary and largely understocked resource, so every patch of woodland becomes very precious. However, things are never that simple and since the early 2000’s the area has been designated an area of Lowland Heathland, and English Nature pay the CHT an annual maintenance fee to maintain it as such. As an area of Lowland Heathland one course of action the CHT could take is to uproot any trees!!! So, Tony and I met representatives of English Nature and CHT to discuss this in March 2009. The outcome of that meeting was that CHT agreed to take the 6 – 7 acres of woodland already planted out of the Lowland Heathland scheme, letting the community have the area as a woodland, if the community would help upkeep the Beacon. This they then put in writing to the parish Council. You are currently browsing the archives for the Beacon Wood category.